Video Wednesday: Scott Jensen, owner of Jensen Cheese in Simcoe, Ontario, gives a tour of the Simcoe plant, demonstrating storage and aging, cutting and packaging of award-winning artisan cheese. Say artisan cheese, say craft beer, please! 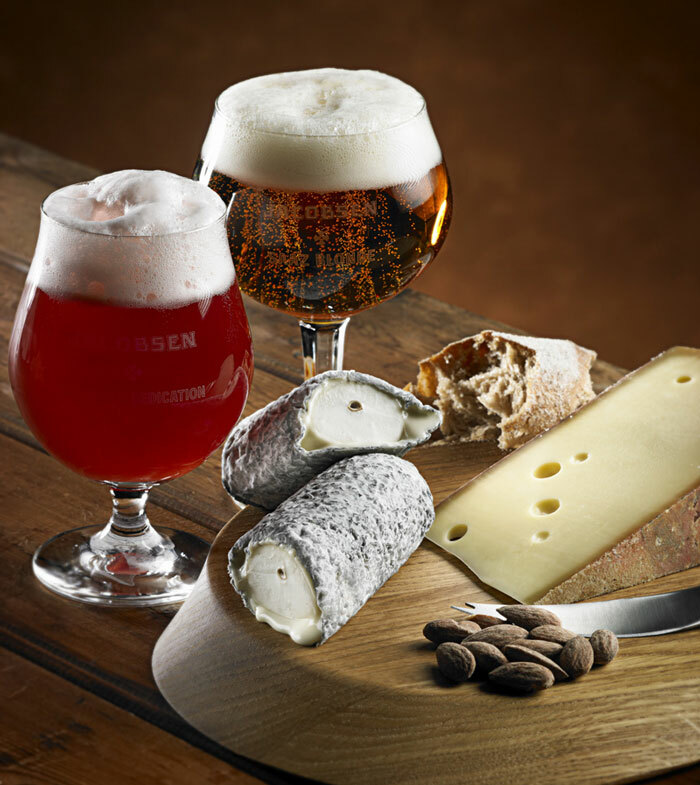 Craft beer and artisan cheese: A pairing made in grain. When I think of cheese pairings, my mind immediately goes to wine: the two are a classic combination. Apparently, mine is not the only brain that works this way. 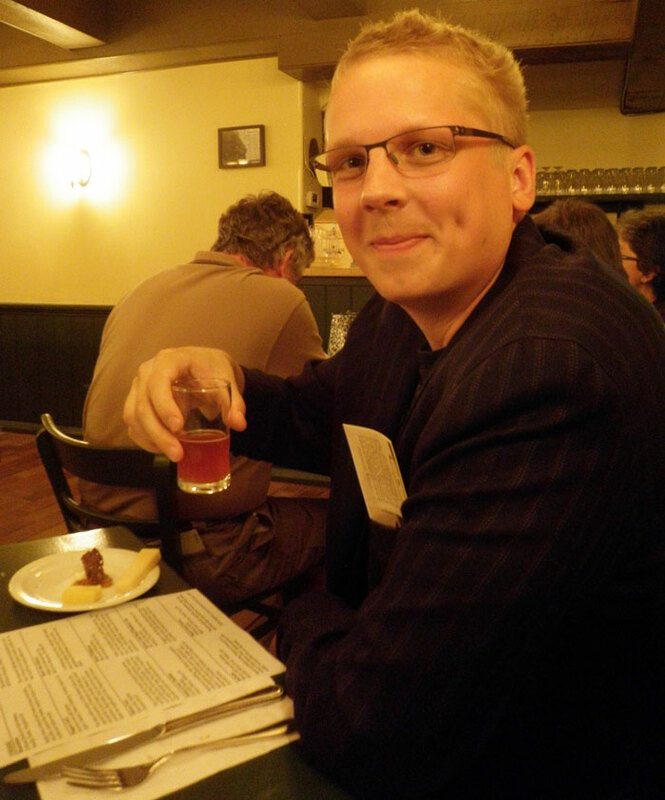 At a beer and cheese tasting held at Black Creek Pioneer Village, one attendee admitted, “I never would have thought to pair beer with cheese”. Though it may be a less-obvious pairing, under the expert guidance of Julia Rogers, I learned cheese and beer can complement one another beautifully. Julia explained that cheese and beer make sense together because they share a common origin: beer is made from grain (usually barley), and grain is one of the main foods consumed by dairy animals. This common source can be detected when tasting both cheeses and beers. 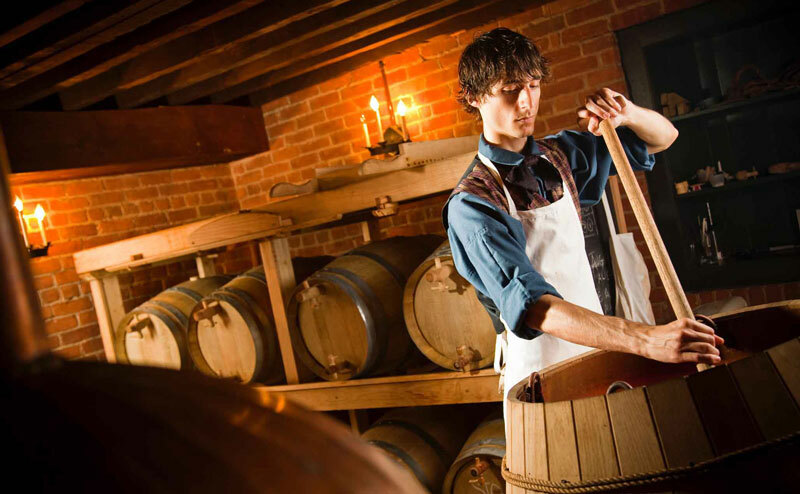 But being in a historical replica village, we, the tasters, had to go through a lesson on the history of beer in Canada before we got to test Rogers’s theories. Black Creek Pioneer Village is set in the 1860s, and so our lesson focused on the state of the beer industry at that time. Many of the big-name Canadian brews lining liquor store shelves today got their start in the 19th century, including Labatt’s, Alexander Keith’s, and Sleeman’s. Black Creek Brewery: Crafting beer the way Canadians did in the 1860s. Black Creek Pioneer Village opened its own traditional brewery in June 2009. The beers are made as they would have been in the mid-nineteenth century. They are not carbonated, and are served at room temperature directly from the oak barrels in which they are aged. We sampled three of Black Creek’s beers: a brown ale, a porter ale, and an India Pale Ale. Though initially I was repulsed by the warm, flat beer, my tastebuds gradually became accustomed to the style, and I grew to appreciate the simplicity of the traditional brews and the purity of their taste. The porter ale, a dark beer with notes of coffee and chocolate, was my favourite of Black Creek’s offerings. After finishing our samples, we were finally introduced to the evening’s cheese selection. Rogers had come with five pairings: four Ontario cheeses matched with Ontario craft beers, and one Quebec cheese and beer pairing. Julia explained there are different ways of creating a pairing. You can pair by the ‘weight’ of the two (such as a heavy-tasting beer with a strong cheese), by common flavours and aromas, or by regional and historical commonalities. The first pairing was a Stracchino from Quality Cheese matched with Mill Street Brewery’s Lemon Tea Ale. The two worked nicely together, as the bread flavours present in the wheat beer paired well with the yeasty, tangy Italian-style cheese. Our second selection included Niagara Gold, a Guernsey cow milk tome made by Upper Canada Cheese Company, and Black Oak Saison Ale. As the name would suggest, Saison is a seasonal beer, brewed at the close of the traditional brewing season, in March. It’s a refreshing beer with flavours of citrus and spice. The Niagara Gold, a savoury, buttery cheese, paired well with it, muting some of the stronger spice notes in the beer. We then reached the Quebec pairing of Chevre Noir, a goat’s milk cheddar, with Rose d’Hibiscus, a flavoured wheat beer crafted by the Dieu du Ciel microbrewery. The attractive rose-coloured beer is sweet on the nose but has an acidic taste which comes from the hibiscus flowers added during the brewing process. The pairing was suggested by the brewer himself, and the man clearly knows his cheese as well as his beer. The tangy Chevre Noir was powerful enough to stand up to the strong-flavoured brew. Tasting companion: In truth, my brother Mike. My tasting companion’s favourite pairing was the fourth, Jensen Cheese’s 3-year cheddar with Railway City Brewery’s Dead Elephant India Pale Ale. It was a bold pairing; the 6.8 % ale had strong flavours of grapefruit and hops that were complemented by the zesty, creamy cheddar. My tasting companion had nothing but praise for the pair, and he wondered aloud where he could buy each. The final match was my favourite: Ewenity Dairy’s Brebette sheep’s milk cheese and Black Creek’s own porter ale. The fresh-tasting, bloomy rind cheese had a velvety texture. Rogers served it with a homemade fig and dark chocolate jam. The porter paired perfectly with the cheese and the sweet spread. Beer often pairs better with desserts and sweets than wine, further proof of the beverage’s versatility. As the evening wound down, the last of the cheese was eaten while Julia chatted with her students. Meanwhile, my tasting companion, never one to be shy, requested a second glass of the Railway City IPA, and as he savoured his brew, he vowed to create his own pairings at home. Phoebe Powell, a roving reporter for CheeseLover.ca, last wrote about a Canadian grilled-cheese throw-down.